Being exposed to lead every day through a source such as drinking water could have very serious consequences. In babies and children, lead exposure can result in delays in physical and mental development, as well as slight deficits in attention span and learning abilities. 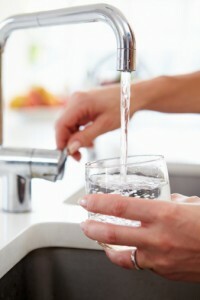 In adults, it can cause high blood pressure and kidney problems after many years of drinking lead-contaminated water. What is Our Government Doing about this Problem? There are various state and local laws that tackle this issue, but the law that affects all Americans is the Reduction of Lead in Drinking Water Act, which passed the US Congress on January 4, 2011. This law took effect on January 4, 2014 with the goal of reducing and eventually eliminating the lead in drinking water found properties throughout the US. If you’re at all concerned about potential lead exposure in your home, it’s imperative that you get in touch with AQHI, Inc right away. You can give us a call at 800-481-8080, send an email to Sj@aqhiinc.com, or shoot us a message on this website by clicking “Contact Us” on the menu above. We’ll come with the most up-to-date technology to test your pipes, paint, and everything else in and around your home for lead and other hazardous materials such as mold, fungus, and asbestos. Don’t put your family’s safety and security at risk—call AQHI, Inc right away.